Far from being in love with these things – as the gullible press here would have us believe – the Germans that are forced to endure them, hate them just as much as everyone else in the World. 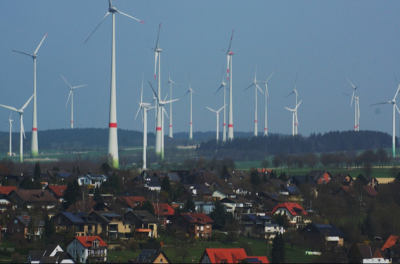 In this wrap up of a report from Die Welt by NoTricksZone, set-upon rural Germans have had – as we say ‘a gutful’ of the wind industry; and what comes with it. Taking matters into their own gnarly, weathered hands, German farming communities are in open rebellion. It’s an uprising that includes farmers blockading turbine construction sites with their tractors; and stealthy stormtroopers dropping a MET mast, used to measure wind speeds, that presage the threat of industrial wind turbine construction. ← Nobody signed Up for This, When the Decided to Live in the Country!